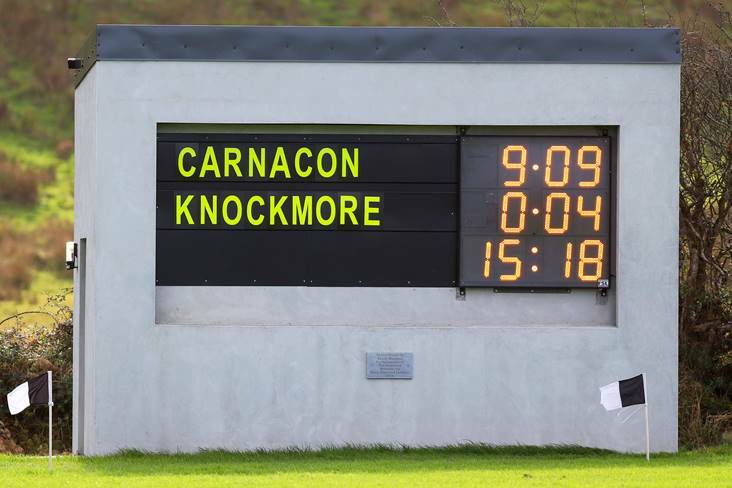 Carnacon were 33-point winners (9-10 to 0-4) over Knockmore in the Mayo ladies SFC final at Kilmeena. ©INPHO/Tommy Dickson. ON a packed weekend of Ladies Club Football activity, the Munster, Leinster and Ulster senior championship Final pairings were decided, as All-Ireland senior champions Carnacon romped to a 19th successive Mayo crown. Cora Staunton, fresh from launching her autobiography, collected 2-8 as Carnacon captured their 20th Mayo title in total, following a 9-10 to 0-4 victory over Knockmore. Carnacon will now look to retain their provincial crown on Sunday, November 4, when they tackle Galway’s Kilkerrin-Clonberne in the Final. This is a repeat of last year’s clashes between the sides, with Carnacon winning after a replay. And Kilkerrin-Clonberne provided evidence that they’ll prove a tough nut to crack again as they scored a big 8-19 to 0-3 victory over Kilbride in Sunday’s Connacht semi-final. In Leinster, Dublin’s Foxrock-Cabinteely’s hopes of four-in-a-row in Leinster remain intact following a big 4-16 to 0-5 win against Meath’s Simonstown Gaels on Saturday. Hannah O’Neill scored 2-2 for the winners, Amy Ring contributed 1-3, Amy Connolly chipped in with 0-5 and Westmeath’s Fiona Claffey bagged 1-1 for Fox-Cab, who also had a three-point haul from in-form Sinead Goldrick. Goals proved crucial as last year’s runners-up Sarsfields from Laois set up another clash with Fox-Cab. Sarsfields ran out 4-12 to 1-10 winners against Westmeath’s Milltown, as goals from Ciara Burke and Joyce Dunne helped to establish a 2-4 to 1-4 half-time lead. Clare Conlon notched a third Sarsfields goal in the second half, before Conlon netted again to make the victory safe. 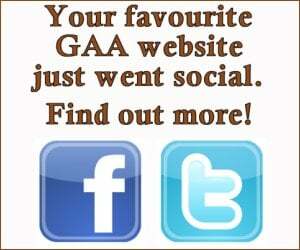 The only black spot on the Sarsfields victory was an injury to Ciara Burke that saw the county star stretchered off. In Ulster, St Macartan’s of Tyrone saw their reign as Ulster champions ended by Donaghmoyne, who were All-Ireland champions last in 2016. In a repeat of last year’s provincial decider, Monaghan outfit Donaghmoyne gained revenge by claiming a 3-7 to 1-8 victory over their Tyrone opponents. Donaghmoyne will now play Donegal’s Glenfin in the Ulster Final, as a Friday night Munster Senior B Final victory for Waterford’s Ballymacarbry over Clare’s Banner Ladies set them up for a crack at Cork’s Mourneabbey in the Provincial A Final. Dublin could sweep the boards in the Leinster Senior, Intermediate and Junior Finals. Clontarf made it through to the Intermediate decider after beating Wicklow’s Tinahely, while Castleknock accounted for Kilkenny’s Thomastown in the Junior Semi-final. Clontarf will face Naomh Ciaran from Offaly while Castleknock’s Junior Final opponents will be Carlow’s Old Leighlin. Kinawley of Fermanagh will meet Emmett Og from Monaghan in the Ulster Intermediate Final, with Lavey from Cavan up against Tyrone’s Trillick in the Junior Final. And the Connacht Intermediate Final will be contested by Galway’s St Brendan’s and Westport from Mayo, as Westport won a free-taking competition against Roscommon’s St Mary’s, Tulsk, to book their place in the Final. The Junior Final pairing in Connacht is Tourlestrane (Sligo) and Naomh Anna Leitir Móir (Galway), with the latter narrowly accounting for Roscommon’s St Dominics on a 2-13 to 2-12 scoreline.